has sold in New York (see the image below). purchase here, posed for me, and I am delighted. past year, and I love them all. Labels: Wonder water image #3 sells in New York City. slow progress on the breakfast still life. Barbara Muir © 2014. Toronto. Canada. 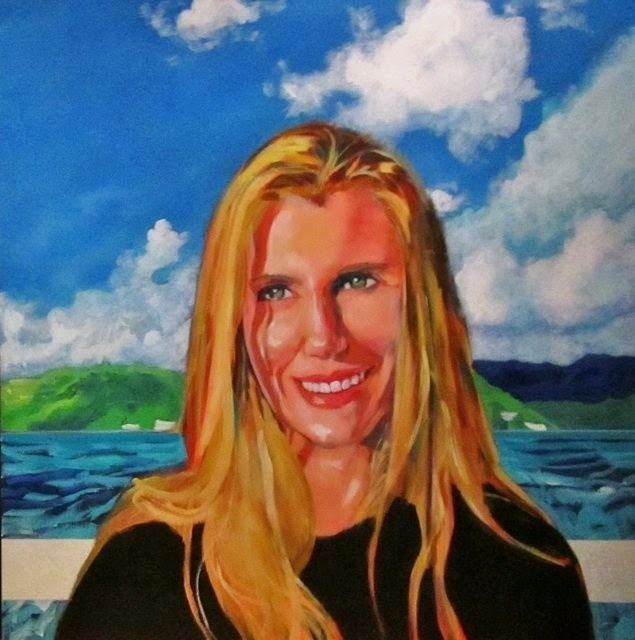 Beautiful portrait, Barbara and congratulations to the lucky, discerning collector.. Marvelous progress also on what looks to be a yummy celebratory breakfast! Thank you so much! As for the breakfast -- it was sooo delicious. I am doing my best to honour its beauty. Woo Hoo indeed. What gorgeous work you've been doing. I am transported to beautiful places looking at your work. Thank you so much. It is fantastic news. Yay Barbara!! So happy for you! Nothing like a painting sale to boost the spirits, huh?! Congrats. YEs yes I want to hear about your vision while meditating. 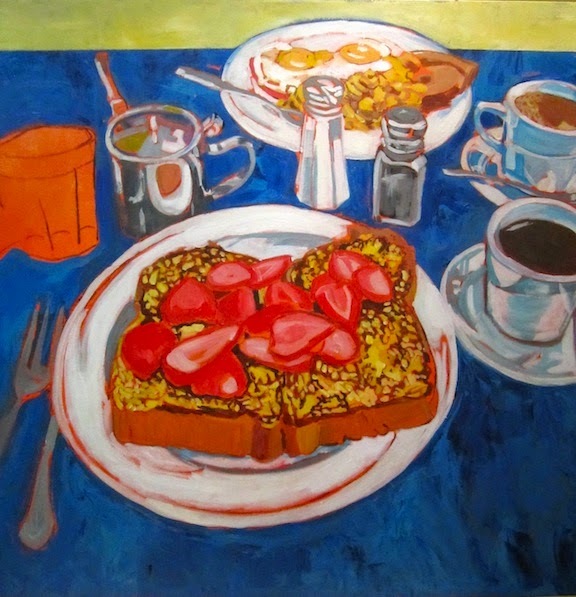 Your breakfast paintings lookin good! Thanks so much. Yes it is wonderful to sell our art. The entire vision is on my blog tonight. Congratulations on your sale Barbara! How exciting for you! I love how the breakfast painting is coming along!